We devote our passion, expertise and understanding of radio frequency eco-systems to serve your interests and simplify your network deployments with comprehensive solutions. Radio Frequency Systems (RFS) is a global designer and manufacturer of cable, antenna and tower systems, as well as active and passes RF conditioning modules, providing total-package solutions for outdoor and indoor wireless infrastructure. RFS offers advanced engineering capabilities, superior field support and expert technical assistance and training to provide scalable, flexible, future-proof and lightweight end-to-end solutions optimized across the entire RF chain. Its customers currently include the four largest wireless carriers, the majority of tier 2 and 3 wireless carriers in North America and many of the top wireless and microwave OEMS worldwide. Its customers currently include the four largest wireless carriers, the majority of tier 2 and 3 wireless carriers in North America and many of the top wireless and microwave OEMS worldwide. 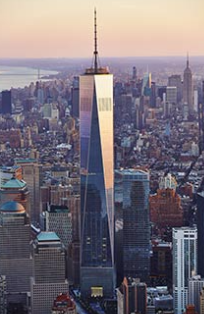 When it comes to public safety communications, reliable performance coupled with the ability to be quickly and easily visually associated with emergency systems is pivotal. Radio Frequency Systems (RFS) red public safety UHF / VHF plenum coaxial cables leverage the proven system performance of RFS’ best-in-class plenum-rated wideband products while meeting the public safety industry’s mission critical need for easily identifiable cable. RFS introduces an exceptionally easy-to-install weatherproofing boot that ensures watertight sealing in the most extreme environmental conditions as a result of the sleek, close-fitting product design. The innovative, patent-pending design includes a small drainage channel at the top of the boot to deter water pooling or moisture ingress. 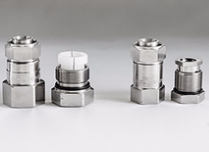 It allows for one-handed installation and improves connector longevity in high salinity environments, while protecting other equipment from corrosion and degeneration caused by the elements. The new boot is waterproof to IP 66/67/68 ratings to ensure watertight sealing, safeguard connectivity, and reduce potential downtime and associated costs. It also helps protect against other extreme weather conditions including wind-driven rain, freezing temperatures and UV exposure. The RFS weatherproofing boot features a small footprint and compact design for multi-port equipment. It has been rigorously tested to ensure its high-strength silicone rubber material won’t rip or tear during installation or product placement. RFS' copper and aluminum plenum-rated wideband cables deliver outstanding electrical performance and support all wireless in-building applications. RFS' copper plenum-rated cables are ideal for use within the ceiling area as well as for more traditional plenum applications. These air-dielectric coaxial cables meet the most stringent plenum cable standards, as their solid outer conductor creates a continuous RFI/EMI shield that minimizes system interference. RFS' copper and aluminum plenum-rated widebrand cables deliver outstanding electrical performance and support all wireless in-building applications. A benefit to using both copper and aluminium is their continuous support throughout the cable, which eliminates electrical and mechanical glitches in tight bending areas. Additionally, RFS' ClearFill® Line aluminum plenum-rated wideband coaxial cable offers a cost-effective, lighter weight alternative to copper cabling. 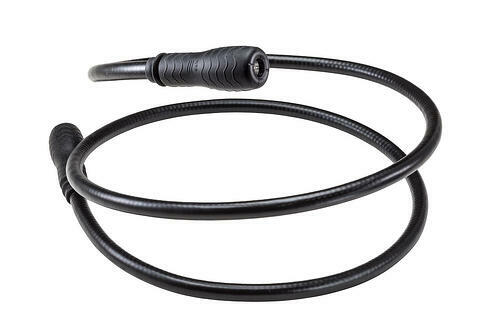 The lighter weight and smaller shape enables the cable to maintain compatibility with existing connectors, tools and hanging hardware for convenient installation. RFS introduces the optimal confined coverage solution: RADIAFLEX® radiating cables. Manufactured all over the world and easy to install, RADIAFLEX® cables increase coverage with less active equipment and ensure uniform signal distribution in a cost-effective solution.